Seal Shield LLC has put out a waterproof, antimicrobial cover for the Apple iPad tablet to make it suitable for use in hospitals. Costing $29.99, the polyurethane cover is said to be 100% waterproof, washable and disinfectable. Touch screen devices like the iPad are making their way into hospitals but pose a cross contamination infection risk for patients and practitioners. Users can clean and disinfect the iPads fitted with the Seal Shield covers with bleach wipes (Clorox or similar wipes), or quaternary ammonia wipes (PDI Super Sani-Cloth or similar wipes). When using wipes, clean surfaces thoroughly and allow to dry before using. 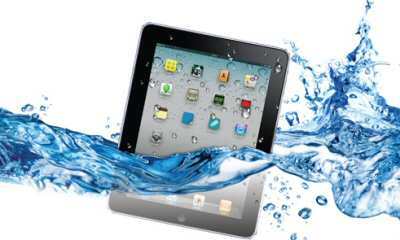 The Seal Shield fitted iPads can also be washed with Windex and rinsed under running water. The cover fits both the iPad 2 and the new iPad.